Here is a small selection of more spells that are used by wizards and casters of magic in lost worlds, some of these spells are perfect for setting in such prehistoric places where adventurers might run across them and see their use in action. Many times spells such as these can not easily be found in the more modern pseudo European fantasy setting of D&D style games. They are hinted at in oral tradition of certain barbarian and primitive people. Legends may speak of such things but only by finding a practitioner of such magicks may a wizard or druid learn such things. They are as lost to the world as the places that they come from. A rare mix of soil, fossilized bone, and plant life is ground into a fine powder which is made into a circle. With several ritual rites and passes the caster sends his mind rocketing into the distant past where he can observe the pulse of ancient and distant life. This spell is often used by wizards of a naturalist bend to observe the ancient past. Black wizards or occultists often use a variation of this spell to observe forbidden or horrid ancient civilizations. There is a 10% chance of chronically related Lovecraftian entities noticing such mental time travelers and pursuing them back to their own time when using this spell. This ancient and forbidden spell must be cast at the ocean or near a beach, even in the desert. The caster draws down horrid and ancient memories of terrible and forbidden creatures who have gone extinct. The caster in essence gains the memories and mindset of these ancient monsters. They will be an eye witness to the events that this mind has seen some of which is likely to be sanity blasting affairs of the distant past. The caster is in essence possessed by the ancient long dead spirit of some extinct creature's mind which is found floating in the dark recesses of the ether of our collective unconsciousness. There is a 30% chance the energies and warped effects of these forbidden magics may begin to mutate the caster in someway often taking on aspects of such beings of the dim and dark shrouded pasts of our Earth. The caster summons deep and dangerous harmonic energies from the Old Beast Fathers, ancient reptilian dinosaur gods of yore. These violence and terrible gods grant the caster a small portion of their tremendous energies and the caster gains +3 to all hand to hand attacks as they grow sharp and wicked claws of an evil and dangerous aspect. The caster's eyes gain an alien and reptilian shade as well as shape to them. 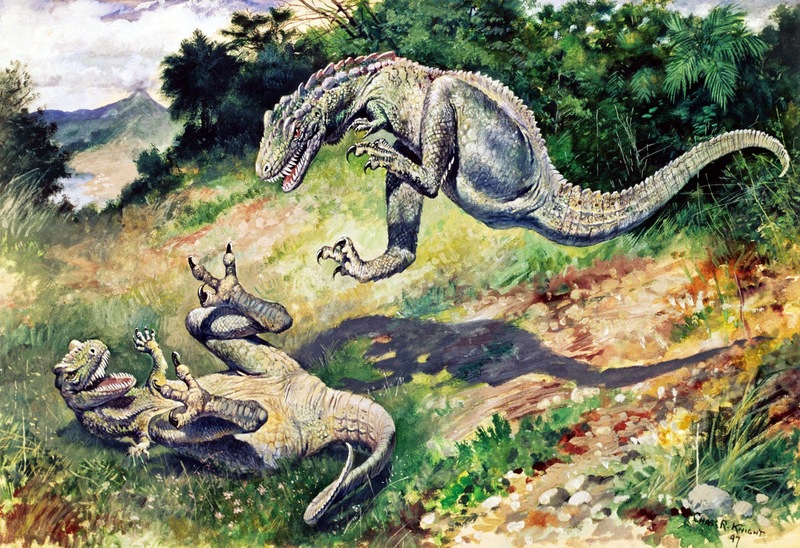 The caster is able to taste a piece of meat or fragment of flesh from the kill of a dinosaur or other prehistoric creature and is able to identify the scent, type, how old the kill is, what animal it is, and gain the scent of the predator who did the killing. For the next 1d6 hours they may follow the animal by scent alone through a game trail or urban situation. The spirits of nature and life infuse the character with the magical abilities to track the prey. This spell is used as a weapon by certain tribes of sea going 'lost world' tribes, it summons 3d6 sea scorpions some of the larges arthropods to ever have lived at the target who must crossing open seas within seventy two hours after the rite of this spell has been cast. The scorpions will swarm the target and devour him in a frenzy of lust and violence. Use the stats for giant scorpions for these prehistoric marine creatures. This spell is used to see into the past of a tar pit and the animals that died there. This spell provides the agonies and death throes of such animals in a dream like vision to the caster. The spell enables a caster to know the trails, habits, etc. 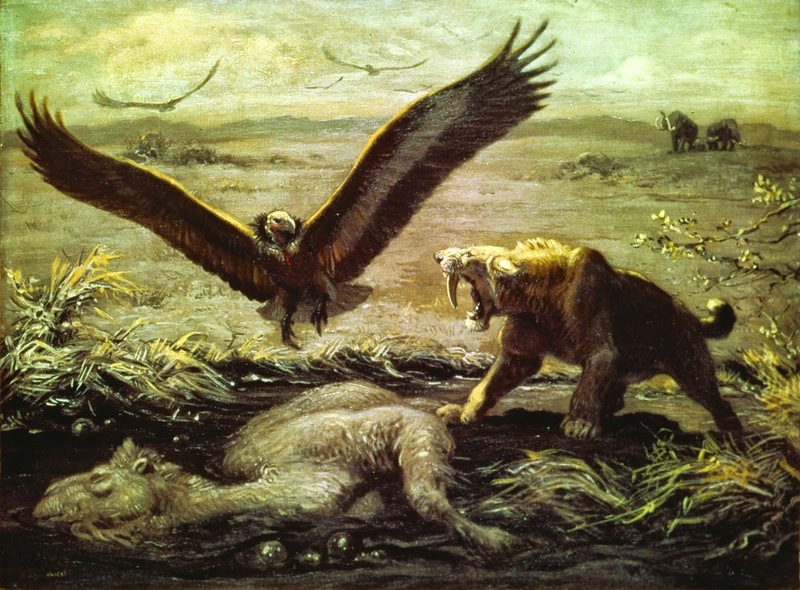 that led to the death of the tar pit's inhabitants there by giving a clear picture of the habits, game trails,etc of the animals that died there, this will add a tribe in a number of areas including hunting and tracking prey animals. Necromancers and black magicians often use this spell to hunt up certain dangerous and savage creatures to re animate for use as servants and guardians. While nature inclined magicians and druids use this spell to keep track of certain sacred or special herds of animals and their deaths.